Atlanta’s Buckhead neighborhood has long been the fashion capital of the South. 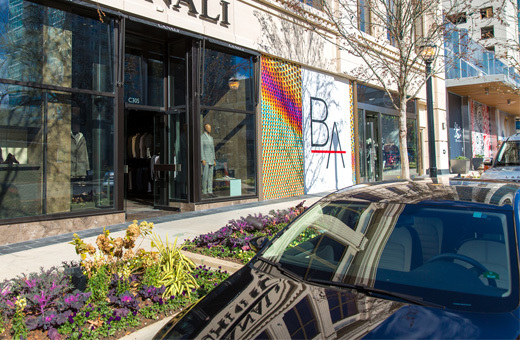 With The Shops Buckhead Atlanta locals and visitors alike now have one-stop shopping for all their favorite premium luxury designers and brands. Current boutiques and stores at The Shops Buckhead Atlanta include Christian Louboutin, Dior, Diptyque, Hermés, Jimmy Choo, Joie, Moncler, Theory, and Warby Parker.